The Third Age Learning or ElderCollege is an international movement whose aims is to provide education opportunities to mainly retired members of the community—those in their third ‘age’ of life. There is no universally accepted model for Third Age Learning. The concept originates with French universities and was significantly modified in the United Kingdom where it was recognized that people of retirement age have something to contribute and the emphasis has been on sharing, without formal links to traditional universities. In North America the concept took hold in an organization called Institutes for Learning in Retirement. The first ILR began in 1962 in New York city, but it was not until the early 1980s that the idea spread rapidly. There are currently about 180 ILRs in the United States and Canada, dedicated to meeting the personal development and wellness needs of older adults. In British Columbia there are currently 18 organizations located throughout the province providing programs. TALK is a participatory learning experience with no quizzes, grades or prerequisites. The learning process is lively, full of discussion, controversy, humour, insight and wisdom. In addition to participating in courses, you can become a course facilitator, plan curriculum, identify speakers, prepare newsletters, recruit new members, help organize special events or promote TALK. TALK serves the Communities of Surrey, Langley, Delta, and Richmond. Established more than 20 years ago, our volunteer organization gives older adults (50 years plus) a chance to flex their mental muscles, learn a second language, play a musical instrument, practice various arts, experience the world with armchair travel or participate in various recreational activities. We offer programs at minimal cost because our experienced volunteer instructors generously share their interests, skills, and knowledge. Classes and dates are organized by a volunteer advisory committee. Most programs are held at the Island Savings Centre, 2687 James Street, Duncan. 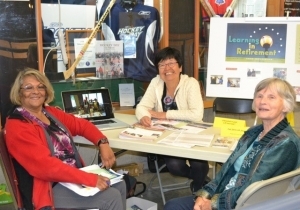 Programs are also offered at Shawnigan Lake, Kerry Park, and Lake Cowichan Community Centres. Annual membership fee is $5.00. ALP is a volunteer organization offering daytime leisure and learning programs to seniors, retirees, and enquiring minds of all ages. We have two semesters of 24 classes each, Tuesday and Thursday mornings from 10 a.m. till 12 noon in the spring and fall, with a detailed list on our website. We meet at Abbotsford Recreation Centre, 2499 McMillan Road. Everyone is welcome! LIR officially began in 2009 with 18 paid-up members, and by March 2016 had grown to a membership of 312. During the spring and fall there are guest speakers, interest groups, pub quizzes and courses. Field trips take place during the summer. The annual membership fee (valid from September 1st to August 31st) is $15 plus tax. Most activities take place at the Silver King Campus and session fees are set at a low-nominal charge. Field trips are also run on a cost-recovery basis. Click on the following latest LIR Journal for the latest schedule, news on past activities, and more information on LIR. 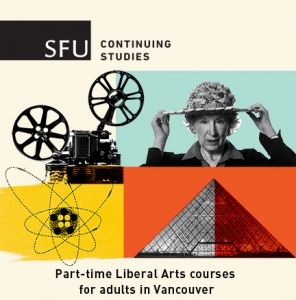 SFU’s Liberal Arts and 55+ Program has been offering university-level non-credit courses to older adult learners since the 1970s. Our year-round program at SFU’s Harbour Centre campus includes lectures, smaller seminars and some hands-on workshops. We welcome learners over 55 of all educational backgrounds; our courses are designed to be both accessible and academically rigorous. We offer courses open to all ages on evenings and weekends, too. Most of our learners take classes for the joy of learning, and to be part of the 55+ Program community. You can also, if you want, work towards a Liberal Arts Certificate for 55+ (Non-Credit) in the program. Classes cover a diversity of topics; literature, art, history, religion, science philosophy, music, and more. Visit our website to see the current program. Join VIU ElderCollege and challenge your mind in an informal atmosphere. ElderCollege offers 6-week courses in Nanaimo and Parksville on stimulating topics for those 50 or better. Make new friends and learn something new! Join the thousands of mid-Island residents who have benefitted from VIU ElderCollege, and register today! Call 1-866-734-6252 or visit www.viu.ca/eldercollege for more details. 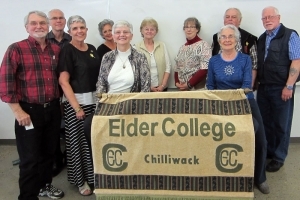 Chilliwack ElderCollege is a not-for-profit society in partnership with the University of the Fraser Valley with a mission “To provide adults over the age of 50 with access to educational and learning opportunities for the purpose of enriching life and expanding knowledge”. We have two semesters a year, one in the Fall (October/November) and one in the Spring (February/March). We are a not-for-profit organization founded by a group of volunteers who believe that lifelong learners on the scenic North Shore of Vancouver need a place to share a love for learning. Our volunteers focus on developing general interest classes with an emphasis on intellectual stimulation. From archaeology to zoology and everything in between, our classes have an emphasis on thinking, learning and enjoyment. Our core values are community, learning, intellectual stimulation, enjoyment and inclusiveness. We welcome everyone to join us, and endeavour to offer affordably-priced courses in convenient locations across the North Shore. Our logo reflects these core values. The colour blue represents learning and wisdom. Orange represents creativity, energy and enthusiasm. The “C” represents the welcoming nature of our learning community, embracing the lifelong learners who choose to come learn with us. Originally part of Capilano University, Sunshine Coast ElderCollege became an independent non-profit society in October 2015. We work in partnership with the Sunshine Coast Regional District and in association with Capilano University and the Sechelt Public Library.The Sunshine Coast ElderCollege, in cooperation with the Sunshine Coast Regional District, will continue to offer and expand on the same top quality courses and highly qualified instructors that our students have been accustomed to. As well, our students will be able to access more convenient and easy course registrations. Anyone over 55 who wants to keep on learning can take courses at the Sunshine Coast ElderCollege. Please see the course descriptions for individual course fees.